A lifelong farmer and chairman of Rugby Farmers’ Mart has been left ‘humbled and proud in equal measure’ after hearing he is to receive an MBE. Richard Heckford is to receive the award for services to agriculture in the Midlands after his work as chairman helped to secure the future of Rugby Farmers’ Mart. Mr Heckford was initially surprised to hear he would become a Member of the Order of the British Empire. In 2004 those involved in the market learned that the site they had been using for 133 years was to be redeveloped and used for hundreds of homes, community buildings and a park. Mr Heckford, now 61, formed a consortium of 250 farmers, each giving £2,000 so the market could relocate to its current site in Stoneleigh. The last day of trading on the old site in 2008 ended with emotional farewell speeches as local farmers said goodbye to the site. 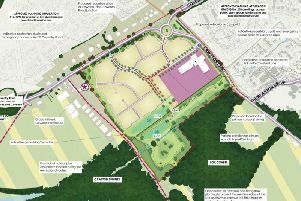 Mr Heckford said he is now looking forward to the mart moving to a new purpose-built site two miles up the road in the next 12 months. He explained that the new site, off the A46, will give the market the chance to further expand. In his work as a farmer Mr Heckford said he has faced many challenges – chief of those being the BSE epidemic in the early 1990s, which saw the slaughter of many farm animals.